These announcements are relevant only to the 2nd period 10th Grade’s Chinese class at BHSEC (Fall 2018-Spring 2019). Turn in the classwork (Unscrambling the sentences and put them into correct order) we did today on Wednesday. We did the L5D2 flashcard quiz on Tuesday. Make sure you finish flashcard quiz for L5D2, if you haven’t completed this quiz. Finish the HW on L5D1 I. A and III A, B, C before attending the class today. We took the written Vocabulary quiz for L4D2 (p. 116-117) this morning. Please make sure you complete flashcard quizzes (on the second set of Snow white vocabulareis (猎人，尊敬，吩咐，现在，去，把，杀，她，心，给) and L4D2 vocabulary. It was due last Friday. Please finish Workbook L4D2 Part I A and Part III Reading (the entire section) A to E –Please annotate with English meanings for new vocabulary or translate the whole sentence on top of sentences for all the reading texts. The written Vocabulary quiz for L4D2 will be on Tuesday. Flash card quiz for the vocabulary from Snow White up to the line saying “我决不允许别人比我漂亮。 If you haven’t taken your vocabulary today, make sure to complete this quiz as soon as possible. Create all the new vocabulary up to that line. Finish it up no later than Thursday. Flash Card Quiz on L4D1 tomorrow. Written quiz on L4D2 next Friday. Flash card quiz on L4D1 on Monday. Written quiz on L4D1 next Friday. Vocabulary quiz on p. 88: Our vocabulary quiz for L3D2 (studying textbook p. 90 vocabulary and dialogue 2 on p. 88) on Tuesday. Please finish Workbook L3D2 part 1 and part III A, B, C, D today, and finish part IV over the weekend and turn in the entire workbook to me on Tuesday. Vocabulary Flash card quiz for L3D2 should be completed by today. Thursday we have a written quiz on L3D2 Vocabulary and dialogue. Please make sure to give me L3D1 workbook (entire workbook) if you haven’t done so yet. HW due on Thursday: Workbook L3D1 part I A, B, and C (p. 43-44) and Part III A, B, C, D, and E. Reading Comprehension (44-46) (please annotate what you read with English translation). HW due Tuesday: L3D1 unscramble sentences worksheet. Mention your family’s professions and your own. Ask someone what he does professionally. We did the review oral sheet for L2D1 and then give you the one-on-one flashcard quiz. Collected the character worksheets for L2D2. 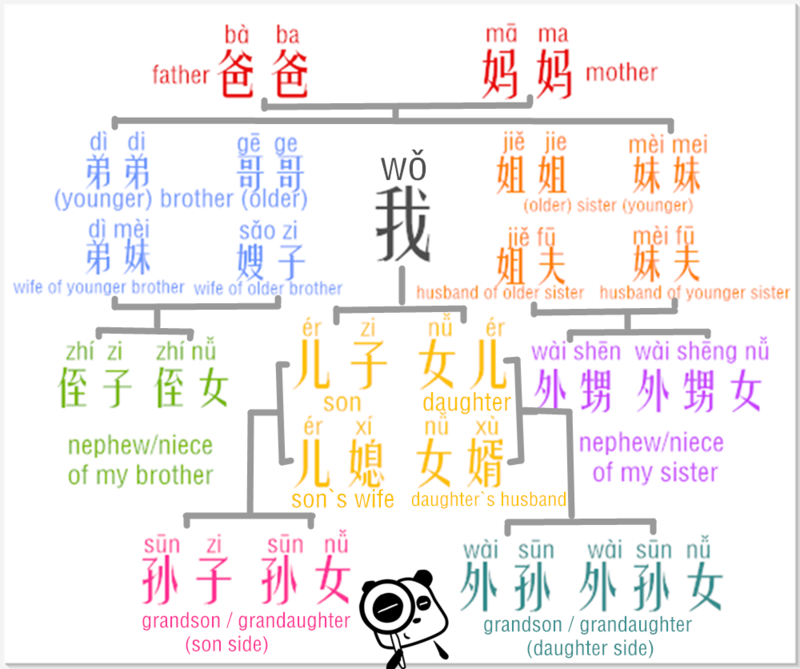 HW due on Thursday: Write the L2D2 dialogue in English and Chinese character. Due on Thursday. L2D2 Flash card quiz tomorrow. Remember to turn in your family tree on Thursday if you haven’t done so yet. Be ready to present in class. I have collected the following today: 1) L2D1 unscramble sentence sheet; 2) L2D1 character worksheets due. Please turn in these two homework if you haven’t done so yet. –Thursday: Extended kinship vocabulary worksheet due. Please write pinyin for each vocabulary on the margin. 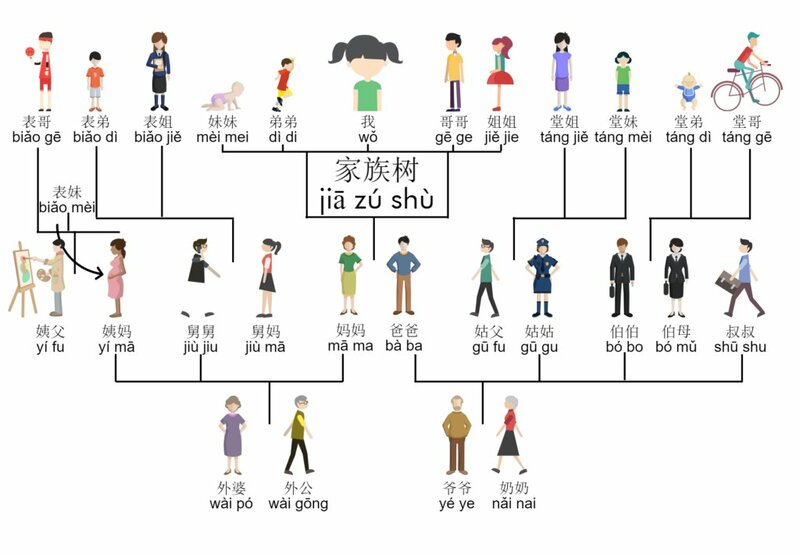 Flash cards on L2D1 from Integrated Chinese (on p. 48-49) (checked on Tuesday already). We took the written quiz on Unit 1 Lesson 2 from Modern Chinese today. We finished the flash card quiz on Unit 1 Lesson 2 today in class. If you have not finished this quiz, please come to finish it no later than tomorrow or you may receive a penalty for this quiz. HW due on Thursday: Unit 1 Lesson 2 （p. 34-37) –> Learn how to say each one, and WRITE and complete #1, 3, 5 for each section or at least half for each section. I encourage you to work together with another classmate and have a chance to practice how to say all the them if you could. If you have any question, please feel free to see me. Friday: Written Quiz on Unit 1 L2. Come up with five questions to ask each other. (Write the questions on the journal book and practice with your partner). Welcome back to school! It was great meeting you all yesterday! It is my hope that this semester we will all commit ourselves to working hard together to have a meaningful and excellent learning experience. Turn in the student survey by Monday. Review them and know how to 1) recognize the characters/vocabulary (Flash card quiz on Tuesday).